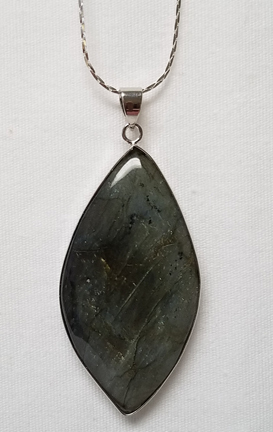 This stunning silver plated Labradorie pendant is our newest addition.In a variety of shapes and sizes this one will be a favorite! Comes with an 18" silver plated chain. Group photo is for demonstration purposes only-pendants are sold individually.